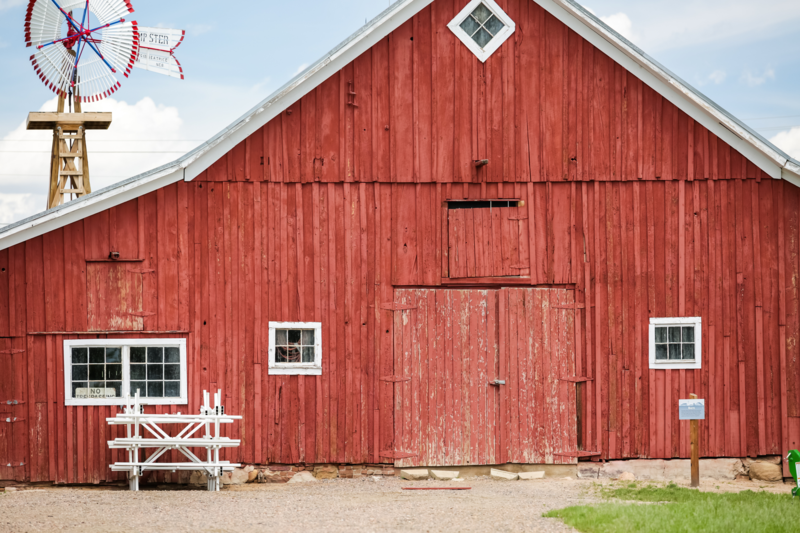 Rachel E. asks: Why are barns usually painted red? Paint, in some form, has existed since prehistoric times. Some of the earliest forms of paint came from mixing together dirt, ash, and organic materials with animal blood and oil. While the practice of painting the exterior of various structures has been around for some unclear amount of time since, not everyone was on board with this in relatively recent times. For instance, certain early American settlers declared the act of painting the outside of houses a sign of immodesty, wealth and vanity. Depending on how puritanical a community was, painting a house might have even landed a person in legal trouble. For farmers and their barns in certain regions, this same mentality applied. A painted barn was a sign of extravagance and since the main function of paint at the time was merely to add color to a structure or room, farmers didn’t see much point in spending money to make their barns pretty. So how did they preserve the wood of their buildings without proper sealants? Prior to the 19th century, the preservative philosophy many farmers believed in was, “The right wood in the right place needed no paint.” Part of the process of deciding on a location to build a barn was based on a farmer’s careful assessment of the wind, sun, and water exposure the wood exterior would endure through the years. This tried and true method, combined with plentiful, naturally weather resistance heartwood, made many barns quite durable despite their exteriors remaining au naturel. As years passed, however, the practice of weather assessment fell to the wayside, with farmers dabbling in more convenient and longer lasting solutions to protect their barns from the elements. Various homemade concoctions towards this end were made, with a popular base in these being linseed oil. To strengthen the oil and help it dry and harden quickly, it soon became common to mix it with milk and lime or turpentine, creating something of a burnt-orange color weather treating paint. While this mixture sealed wood from moisture somewhat, it did not inhibit the growth of mold and moss that plagued wooden structures. For the solution to this, iron oxide, otherwise known as rust, was also added to the homemade paint. Iron oxide could be found in abundance in the soil on farms in the eastern United States, among other places, which made it literally dirt-cheap and easy to obtain. Depending on the exact soil composition and amount of iron oxide used for a particular homemade batch of the paint, it would take on anywhere from the aforementioned burnt-orange color to dark red-brown. 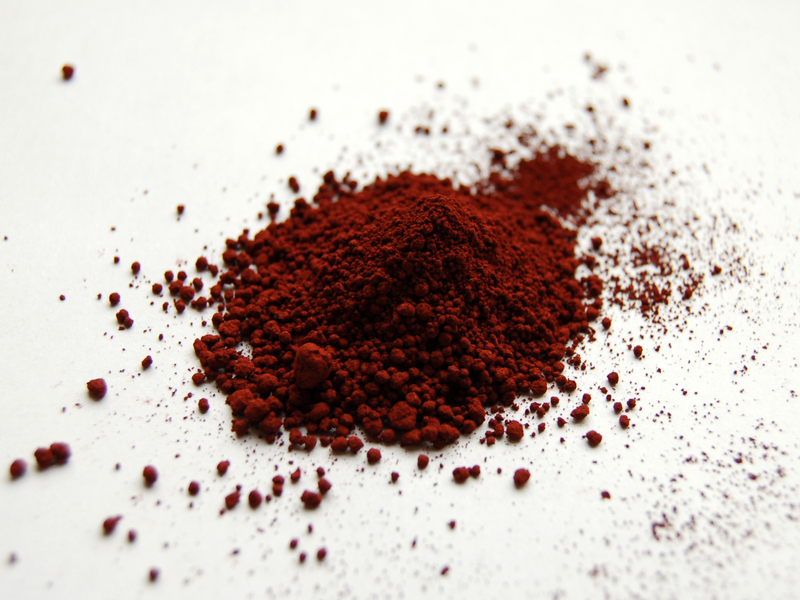 When such paint became cheaply available via mass production in the late 1800s, farmers often stuck with the color red because, thanks to the abundance of iron oxide, red paint was still generally the cheapest paint on the shelf (although this is certainly not the case today). 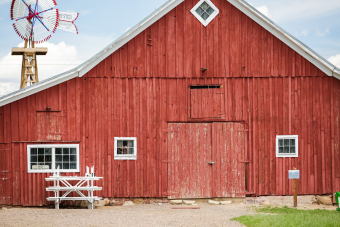 As for why barns are still often painted red (albeit generally much brighter reds than the classic red-brown) despite no real inherent cost savings anymore, this is just down to tradition. The word “barn” originated from the Old English words “bere” and “aern.” “Bere” means barley or grain and “aern” describes a storage place, so barn essentially mean a storage place for grain. Some people have speculated that barns are painted red because it makes a visible target for cows to find their way home. Sounds reasonable right? In truth, cows are red-green colorblind. Then why are bulls known for charging red capes during a bullfight? What gets them to charge aggressively, outside of embedding things like banderillas (barbed “little flags”) in their necks, is actually the movement of the cape, not the color. The myth that the color red enrages bulls likely stems from matadors traditionally using red capes going all the way back to the 18th century in Spain. While most barns are rectangular in shape, round barns reached popularity between 1880 and 1920, due to the ideal that they created a more efficient workspace for farmers. However, as technology advanced, creating more efficient machinery, round barns faded out. The first American round barn is considered to be George Washington’s 16-sided threshing barn in Virginia, which was built in 1793. Beyond protecting the barn’s wood from the elements, a secondary benefit to red-brown paint over natural wood is that this color paint does a pretty good job at absorbing the sun’s rays, helping to warm a barn’s interior. This was especially handy historically during cold winter months to keep animals from freezing. In the summer when this extra heat is not necessarily desired, it’s easy enough to simply open the barn doors and windows to cool things down a bit during the day. Why are Barns usually painted red?